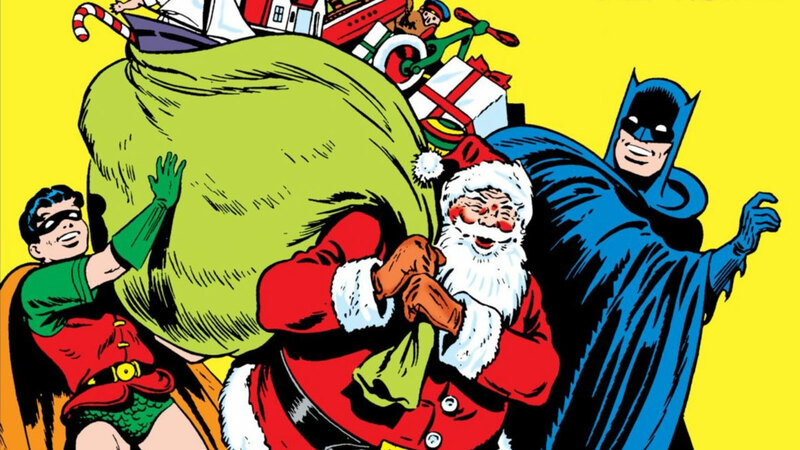 It's beginning to look a lot like Christmas, and that means it's the perfect time to revisit some of our favorite festive Batman stories. Festive Batman stories? Oh yes! Bruce Wayne's alter ego and his over-the-top sensibilities are a surprisingly good match for the Christmas season. So, to celebrate, we've picked out five of our favorite holiday Bat stories for you to enjoy on these cold dark nights. Whether you want animated adventures, blockbuster movies, or classic comics, we've got you covered. So holla at your butler for a hot cocoa and some vichyssoise (remember, it's supposed to be served cold), and get ready to discover 5 essential Batman Christmas stories. Just click on each of the titles below to enjoy them right here on DC Universe! 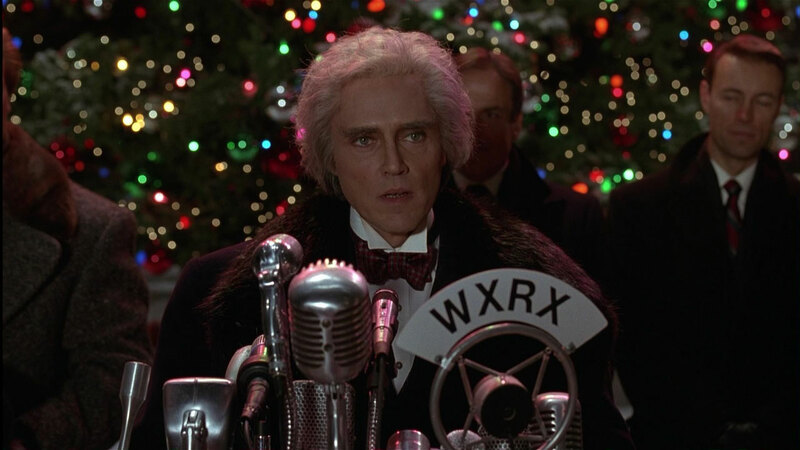 An oft-overlooked Christmas gem, Batman Returns is one of the best holiday movies ever made. From the sweeping opening shots of a snowy Gotham Zoo to the ice-capped cityscape to the Penguin's Christmas-trimmed crime gang, this gothic classic is stuffed full of festive treats. With not one but two rogues to contend with, Michael Keaton's Bruce Wayne is torn as he tries to track down the mysterious Catwoman (Michelle Pfeiffer) and discover the truth about Oswald Cobblepot (Danny DeVito), the new mayoral candidate of his hometown. For those want something a little darker during an often saccharine season, this horror-tinged tale is a wonderful addition to your Christmas watch list. 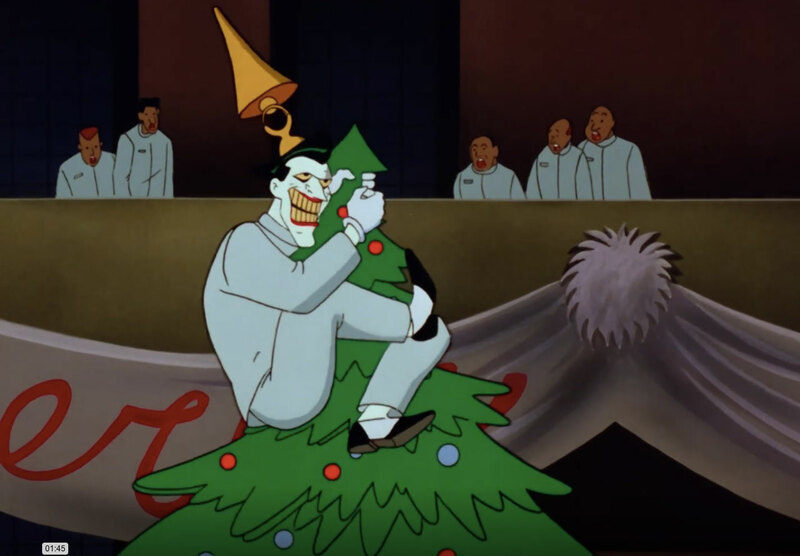 Batman: The Animated Series -- "Christmas with the Joker"
One of the earliest entries (episode 2 of the first season) of seminal screen adaptation of the Dark Knight's adventures, this Christmas-themed offering is a complete delight. This episode follows Batman and Robin as they leave the coziness of Wayne Manor on a frosty evening. Their mission? To catch the Joker, who's escaped from Arkham Asylum with the help of a giant rocket hidden inside of a Christmas tree. Filled which Christmas cheer, stuffed teddy bears, and even a rendition of "Dance of the Sugar Plum Fairy" from The Nutcracker (by the Joker himself no less) this cartoon has everything you need to get into the festive spirit. Batman: The Brave and the Bold -- "Invasion of the Secret Santas!" 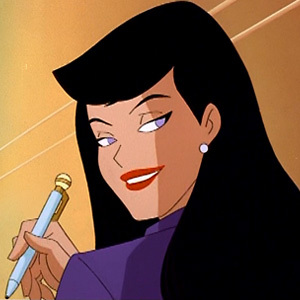 Batman: The Animated Series isn't the only awesome animated adaptation of the Caped Crusader. 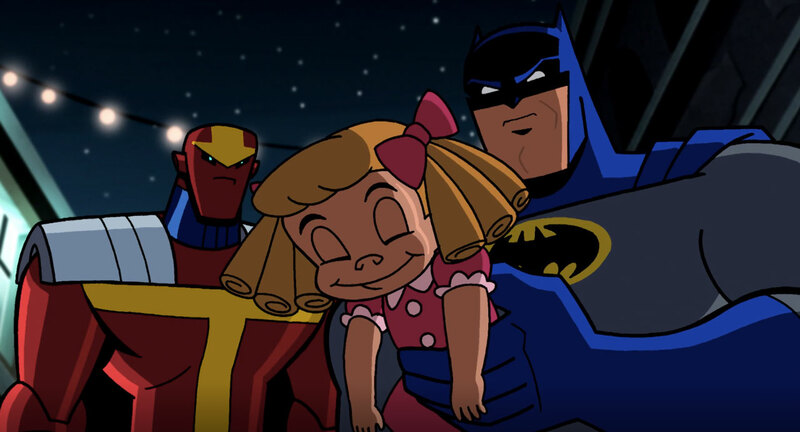 And luckily, for festive fans, Batman: The Brave and the Bold also has a great holiday offering. "Invasion of the Secret Santas!" (episode 5 of the show's first season) has everything you could dream of from a Bat-tastic Christmas episode. Here, our hero teams up with Red Tornado -- who's searching for his holiday spirit -- to take down the maniacal Fun Haus, who wants to ruin the season with his army of evil toys! If you're looking for something fun, fresh, and fantastically freaky this festive season, look no further. The Brave and the Bold #148 -- "The Night the Mob Stole X-Mas!" 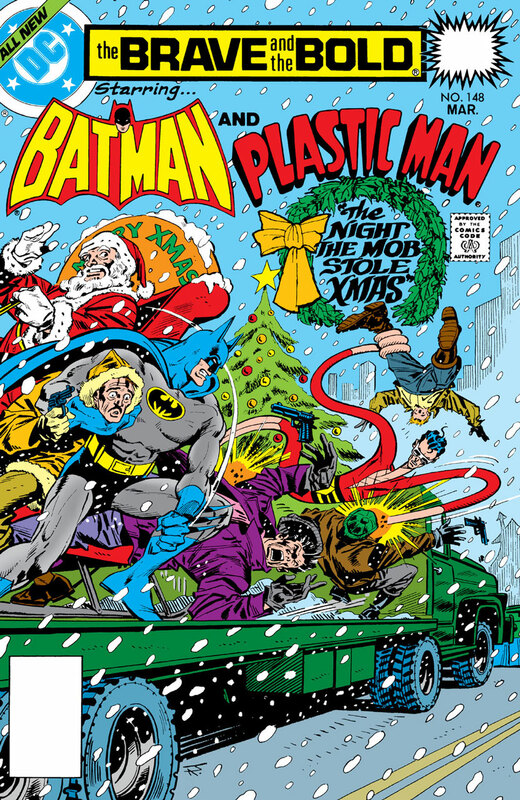 In this classic late '70s offering, Batman has to save Plastic Man, Gotham, and of course Christmas from a nefarious cigarette-smuggling gang. Holy smokes, Batman -- we've gotta protect Gotham from people making cigarettes harder to come by! It's a wonderfully strange, noirish-yet-mundane tale we might never get to see in today's world. If that's not enough to sell you, then how about the fact that the crooks steal a famed Gotham Christmas decoration and then go on the run to Florida where Plastic Man and the Bat have to thwart them? Yes, it's just as good as it sounds. Batman #27: "A Christmas Peril"
If you're looking for a Bat-flavored twist on the classic "A Christmas Carol", then you are in luck! This Golden Age gem sees the Caped Crusaders take on a wealthy young orphan running a Christmas tree racket, causing prices to skyrocket. But $7 trees aren't acceptable to Batman and Robin, so they decide to teach the young scamp a lesson...by kidnapping him! Through a bizarre It's a Wonderful Life /"Christmas Carol" mashup, the Dynamic Duo show this cad the impact of his greedy and morally questionable actions whilst thwarting the terror of Christmas-tree inflation. The Neal Adams-penciled classic "The Silent Night of the Batman" in Batman #219 and the Len Wein-scripted classic "The Man Who Murdered Santa Claus!" in Justice League of America #110. Both are wonderful. As one can see, there are a whole bundle of holiday stories centered around Gotham's most famous son. Though his gloomy glare and monochromatic suit might imply otherwise, he's apparently a big fan of this festive season. 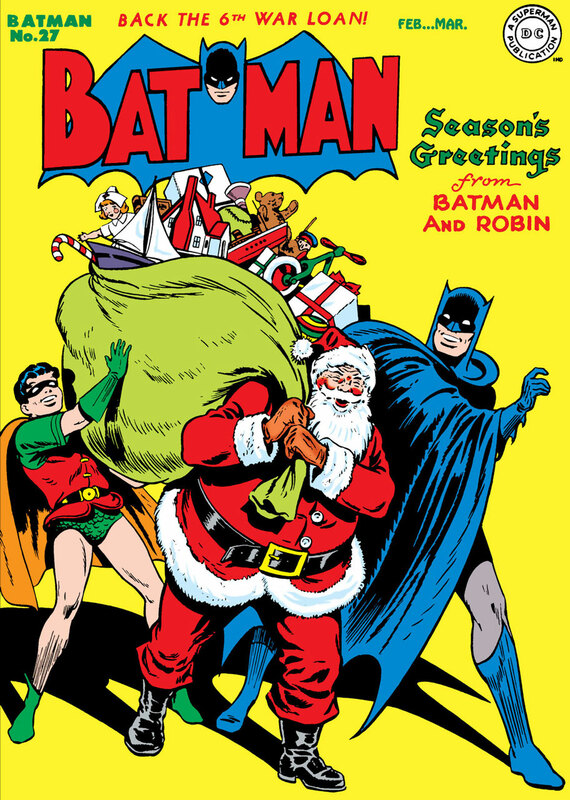 And he's not the only superhero -- as DC has a rich history of brilliant holiday anthologies, unexpected Christmas cartoons, and awesome seasonal gifts that can charm even the grouchiest of Grinches. Happy holidays from all of us at DC Universe! What's your favorite holiday story? Let us know in our Community!